offers fresh local ingredients, heartmade plant-based healthy cuisines. JARAN: Thai word for travelling or wandering, or in-depth meaning: path. From original Thai food, we create and combine every step mainly focusing on total nutrition that you need by our in-house professor in nutrition and food science. We source all of our ingredients daily on our beautiful island of Koh Phangan, as it’s our home town. We make every effort to create a menu and environment that supports health and sustainability for both our community and the planet. We support local farmers, sustainable agriculture and environmentally friendly products. Our food is prepared with love. We welcome you to be a part of our family, JARAN’S family. 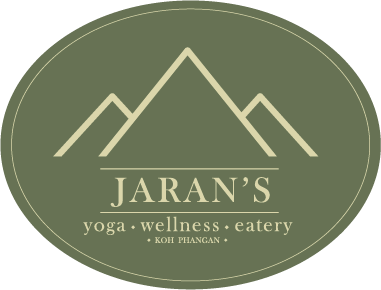 Jaran’s Kitchen offers a delicious selection of vegetarian and vegan raw and cooked foods, Thai fusion dishes, nourishing Ayurvedic bowls, and cleansing options available. A wide variety of daily fresh juices containing super foods, antioxidants and healthy fats will cleanse and rejuvenate you. Our raw desserts (no meat, eggs, dairy) will energize you and satisfy your taste buds. We can cater for special healthy menus for visiting groups upon request. Check out our weekly specials and join one of our buffets for the community spirit. Jaran’s Eatery welcomes you to relax in its open-air environment to enjoy nature and wholesome food set to soothing ambient background music. Watch the morning mist over the mountain peaks from Jaran’s breakfast bar. 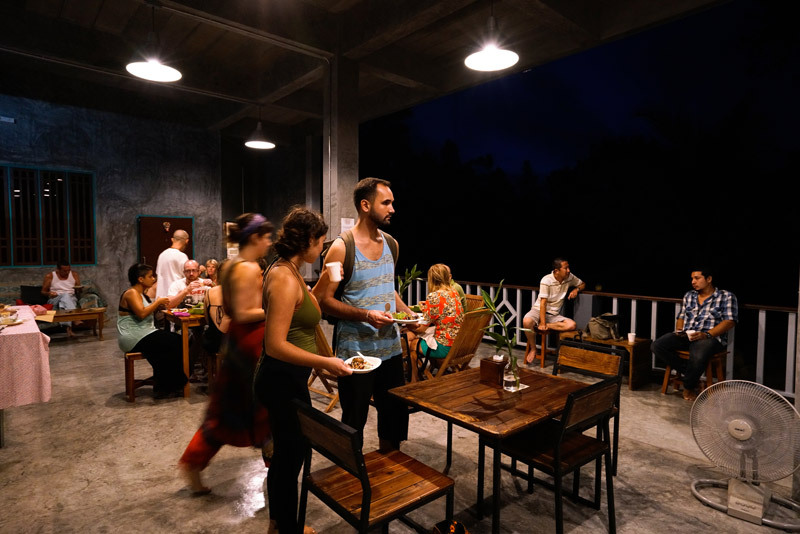 Lounge in the eatery or hammock area with a book, or connect to Jaran’s wifi and work on your laptop in solitude to the sounds of nature. 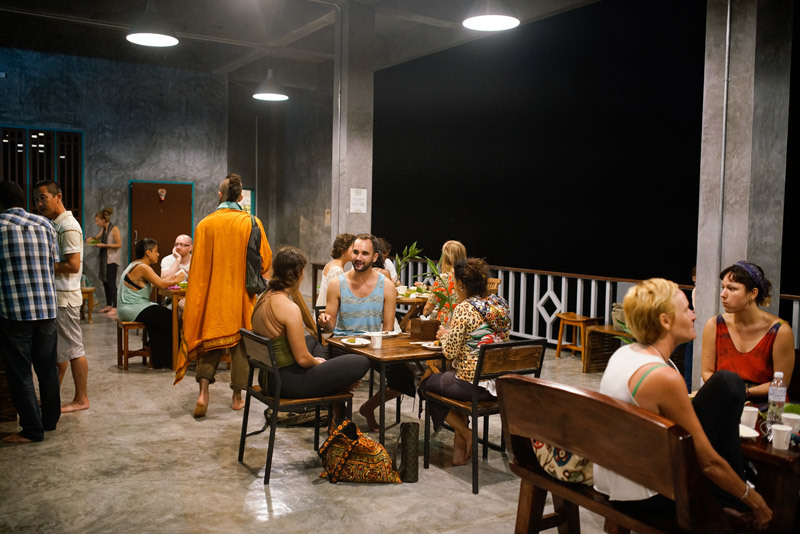 Friendly attentive staff and healing nourishing food make this a real oasis in the heart of Koh Phangan. We are open daily from 8am til 8pm. Enjoy a fresh juice or coconut after yoga or a Jaran’s Buffet. The Eatery is part of Jaran’s Live Venue where we host live music events, speakers, presentations and movie nights. If you would like to host a private function or event, find out more about the Live Venue and check out our special events.